Andrew Zimmern's new contemporary Chinese spot features small plates and dishes inspired by the globetrotting chef's travels. ST. LOUIS PARK, Minn. - One of the Twin Cities' most anticipated restaurants from globetrotter celebrity chef Andrew Zimmern is opening its doors next week. Lucky Cricket, the contemporary Chinese restaurant inspired by Zimmern's travels, will open to the public on Monday in St. Louis Park. The space inside Lucky Cricket. "There’s nothing more exciting and for me, a better expression of taking care of your community, than by serving it food," Zimmern said. "And I’m just thrilled that at this point in my life I’m able to start serving food again in the place where I live." 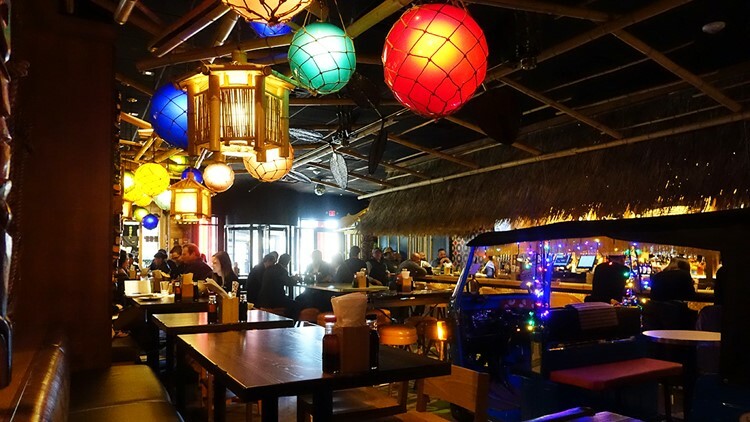 The restaurant is a full-service, 200-seat space that features a full Tiki bar, vibrant decor and even a bright blue tuk tuk. The concept will be the first of several locations across the country. We met up with the four-time James Beard Award winner to chat about the new restaurant, the flavorful menu and more. 1. Zimmern's connection to Trader Vic's founder Vic Bergeron goes way back. "My mom went to Mills College in the 40s and roomed with Trader Vic Bergeron's daughter," he said. "Vic taught my mother and his daughter how to cook at the original Trader Vic's in San Francisco." Growing up in the 60s and 70s, Zimmer says he was a big fan of Trader Vic's. "I've sort of harbored this yearning inside for decades of wanting to do a Chinese restaurant that had a tiki bar attached to it," he said. The Soy Sauce Noodles at Andrew Zimmern's new spot, Lucky Cricket, which opens Monday in St. Louis Park. 3. Lucky Cricket's menu features a lot of Zimmern's favorite dishes he has made and collected throughout his travels through Asia. 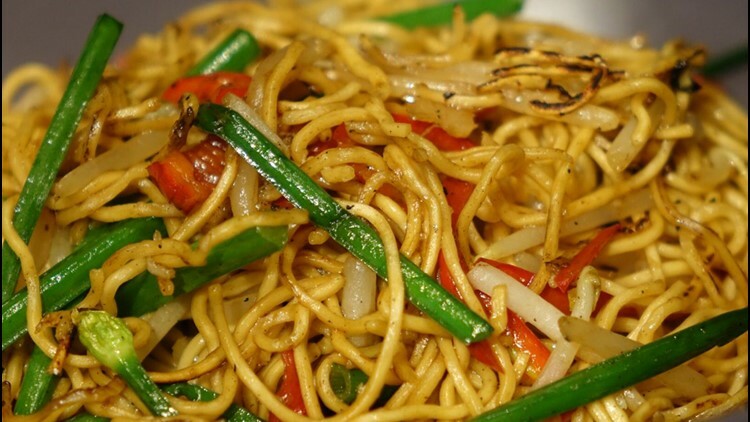 One that you don't often see on Chinese menus is the classic Soy Sauce Noodles -- dry cooked in a wok, from scratch. Zimmern learned how to prepare the dish in Hong Kong. "It's a huge winner," he said. 4. Mak's Noodle in Hong Kong has what Zimmern calls the "best shrimp wonton soup I've ever had." So he's done his best to faithfully recreate it on his menu -- where he fully credits it by calling it "Mak's shrimp wonton soup." 5. Straight off the streets of Shanghai, Zimmern is bringing pork dumplings with a unique spin -- he uses more of a bread dough, instead of your traditional dumpling dough to give a nod to Dahuchun's signature dish. Beef noodle soup at Lucky Cricket. 6. 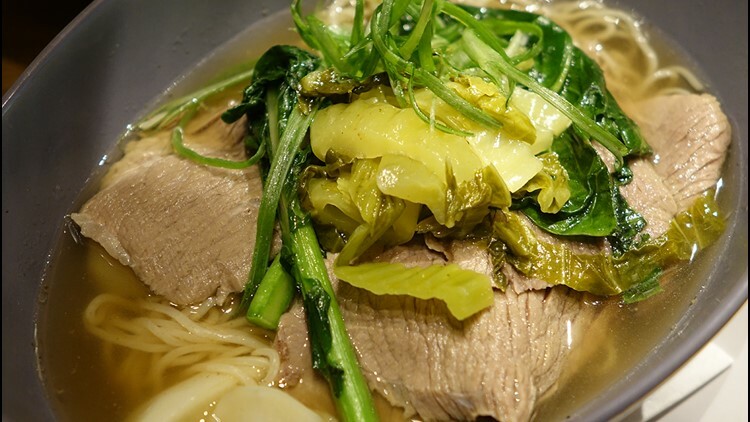 Beef noodle soup is "without a doubt, the preeminent dish in the Taiwanese culinary canon," Zimmern says. That said, his offering is based on a small little noodle soup house in Taipei. 7. 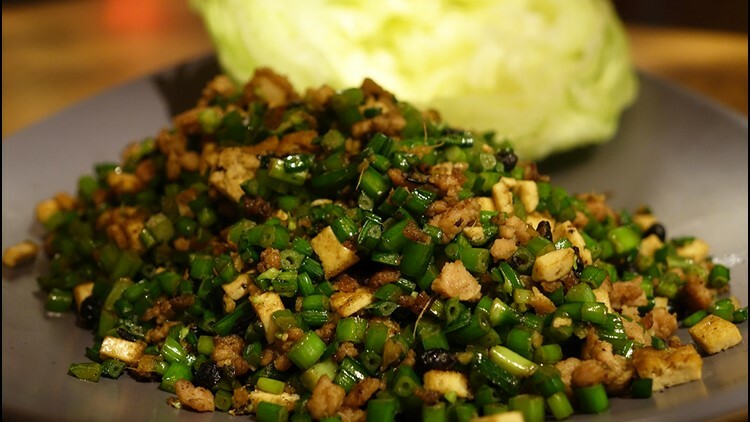 One of Zimmern's favorite Taiwanese restaurant in New York is called Happy Stony Noodle, run by a chef nicknamed "Stony." His favorite dish there? It's called Flyhead and he's recreating a version at Lucky Cricket served as a lettuce wrap. "It's a must," he says. 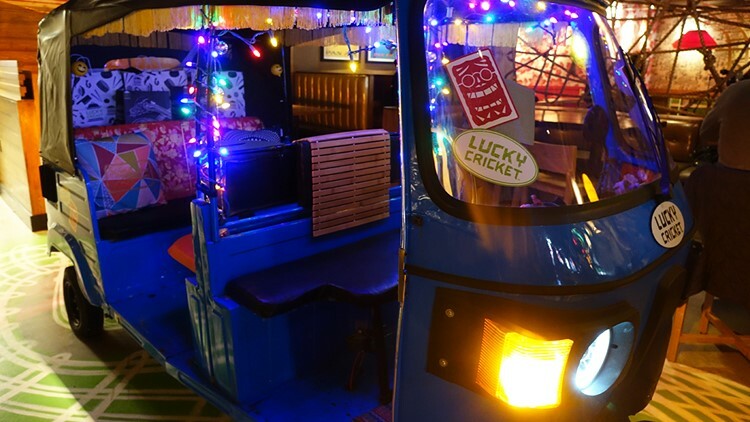 There's a tuk tuk inside Lucky Cricket, and you can even sit inside to enjoy a cocktail. 8. What's the deal with the tuk tuk? "The tuk tuk is for doing shots, it's for making out, it's for private conversation, and yes, we really did bring it in from China," Zimmern said. 9. It's a fun restaurant, "but we have a really serious bar program," Zimmern said. First of all, it's a true tiki bar, full of 40 different rums -- some meant to be sipped like cognac, others meant to be drank like bourbon. You can even buy your own Lucky Cricket tiki mug. 11. 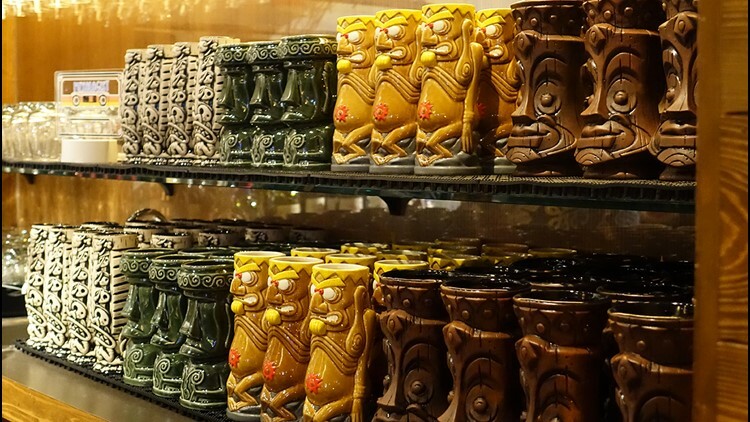 Not only can you visit the tiki bar, you can take a piece of it home with you -- Lucky Cricket has collectible tiki mugs for sale as part of their merchandise corner. "I had no idea that ... collecting tiki mugs was such a huge thing," Zimmern said. The tiki mugs are custom made just for Lucky Cricket and four times a year, they'll be rolling out a new customized collectible. "I don't think there's anything more fun than designing tiki mugs," he said. Lucky Cricket is located at 1607 West End Blvd. in St Louis Park, Minn. For more information about the restaurant or to attempt to get a reservation, click here.